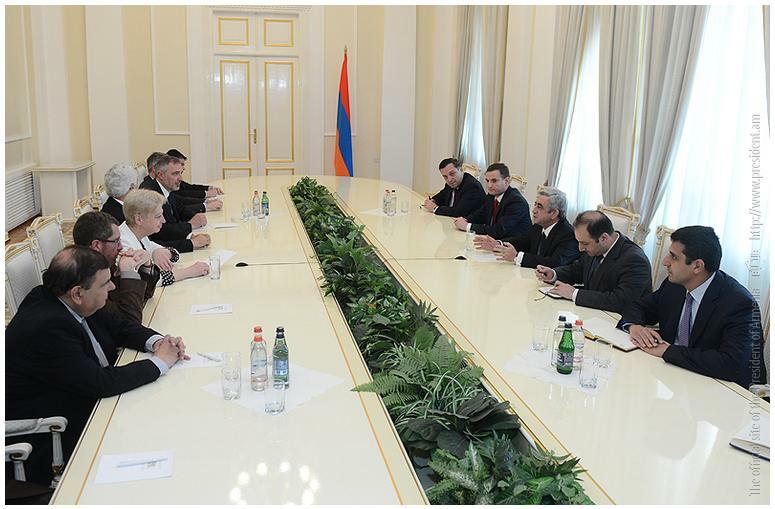 President Sargsyan welcomed the visit of the EU-Armenia Friendship Group to Armenia. He enforced his support for the creation of the Friendship Group stating that it was “imperative” and “necessary” given the progression and positive state of EU-Armenia relations. The President expressed his confidence that the activities of the Friendship Group will greatly promote the deepening and enhancement of the Armenia-EU relations as it will allow issues of concern for Armenia to be raised in the European Parliament. During the meeting, the members of the European Parliament congratulated Serzh Sargsyan on his victory during the presidential elections recently held in Armenia. 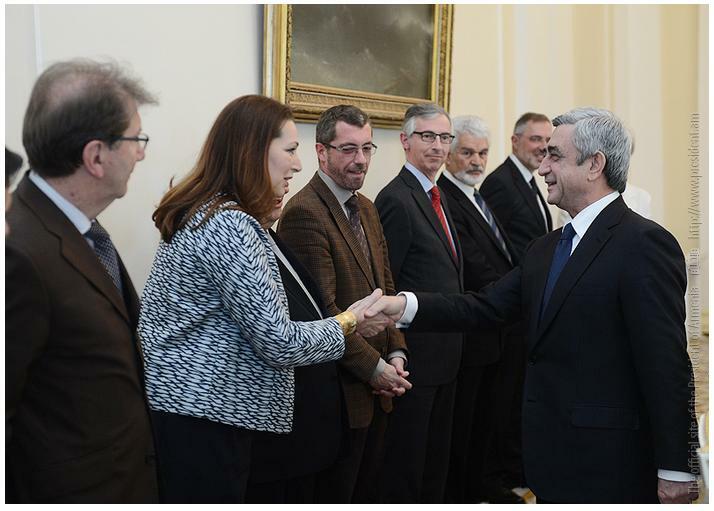 They assured him that as friends of Armenia, they would continue to support Armenia in the European Parliament, other European structures and parliaments of EU member states, broadcasting Armenia’s democratic achievements, speaking about the huge and invaluable historical and cultural heritage of Armenia and the Armenian nation and representing the Armenian system of values. The parties also discussed future prospects in the development of the Armenia-EU relations, the current agenda and prospects of cooperation with the Friendship Group. The President of Armenia and members of the European Parliament exchanged views on regional issues and challenges, including the current stage of the NK peace process, Armenia-Turkey relations, international recognition of the Armenian Genocide and other issues of interest and concern.